The antinomian marsupial in the road fixing us in her eyeshine, tapeta lucida. The objective is hopeless — abandon the baseball diamond for the strip mall. Nothing arboreal to correct the view. The Dumpster behind Long John Silver’s berths the opossum in its postnuptial fast-food armor. Slower now, go slow. SPEED HECKED BY RADAR. O lucky stars. Motel 6 left its light on for us. Remember you are nothing without credit. 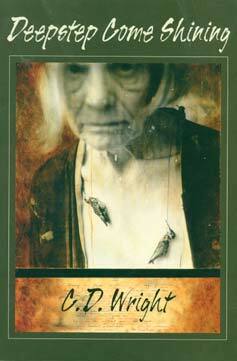 interview with C.D.Wright in this issue of Jacket, together with a detailed bio note and a photo.